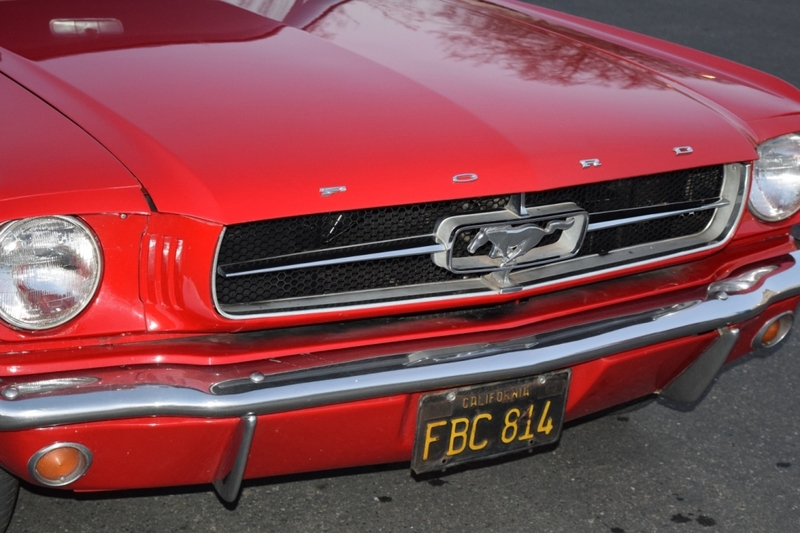 San Jose California built Mustang. California Black Plate car its entire life and the Original FBC-814 plates are still on the car! The car has spent all its life in dry Central California until now re-located to Sydney Australia. 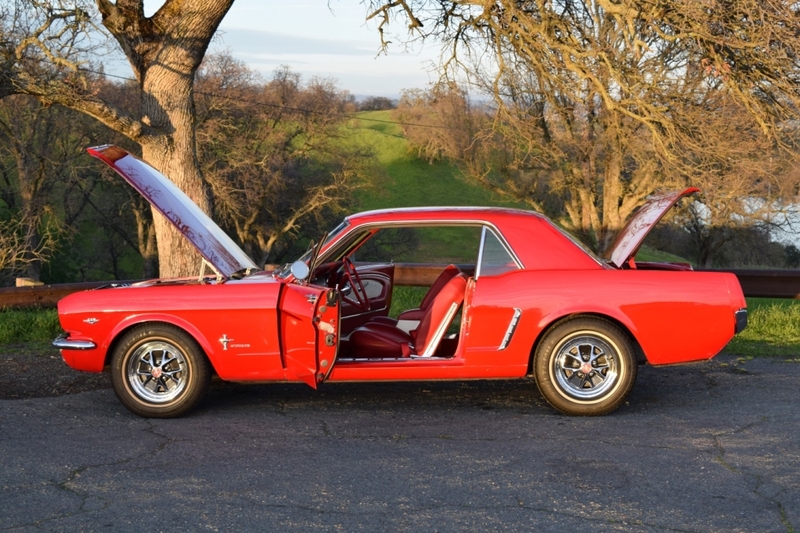 Comes with the Original Owner’s Manual and Warranty Book…stamped by the original selling Dealer and signed over to its first owner. 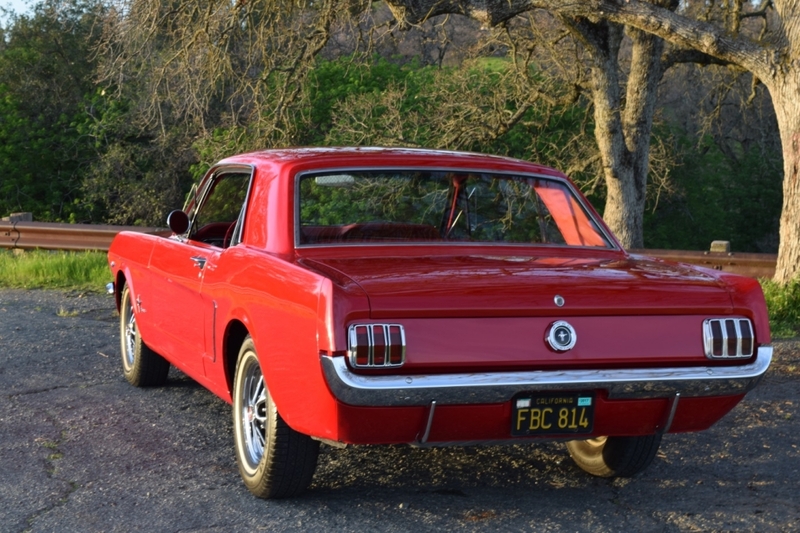 This Mustang only has 100,750 miles since NEW and obviously given great care by the prior owners! Sold new at Billingsley Ford, Porterville, CA. 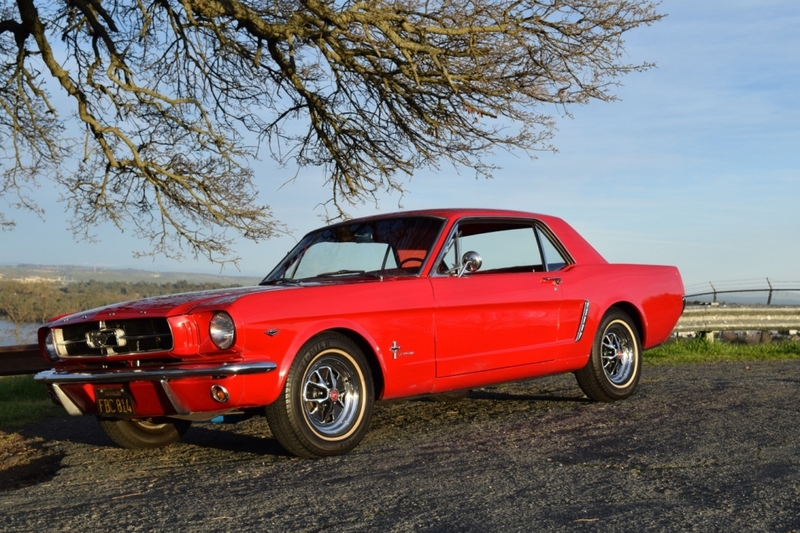 Purchased by its first owner a priest “Father” Joseph Leonard of Portersville, California on August 9, 1965. The Second owner Charles Loy owned it for 23 years. The third owner purchased the car last year when Mr. Loy passed away and his wife sold the car. 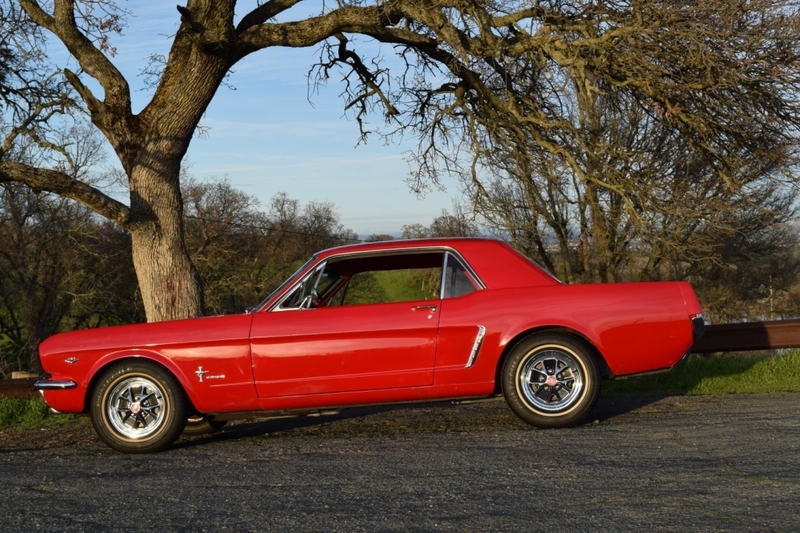 The car was purchased from the third owner by Southern Cross US Importers and sent to Australia awaiting it new owner. Original 289 V8 Engine “C Code” powered by a Two Barrel and it is very responsive! 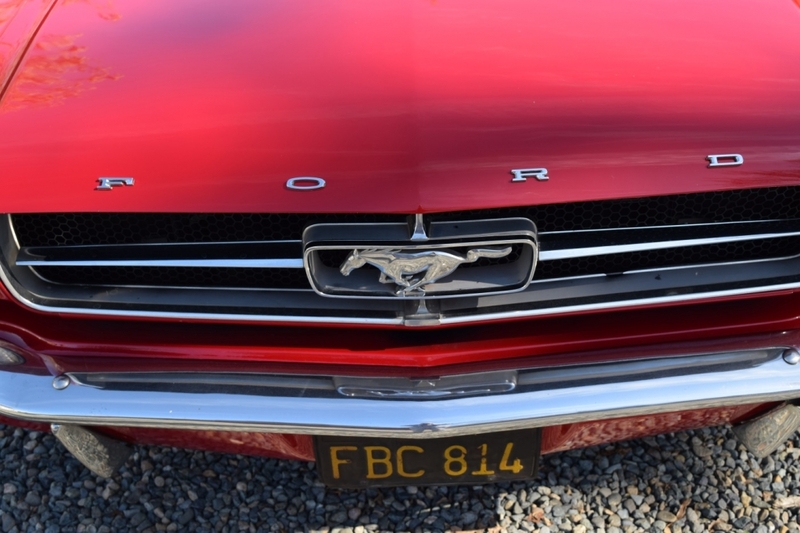 This Mustang was just freshly serviced. The heads have been rebuilt with hardened seats, new Petronics ignition, new coil, plugs, wires, fuel sending unit, new radiator installed along with a bunch of other minor maintenance items. Original Floor Shift C4 Transmission shifts smoothly. 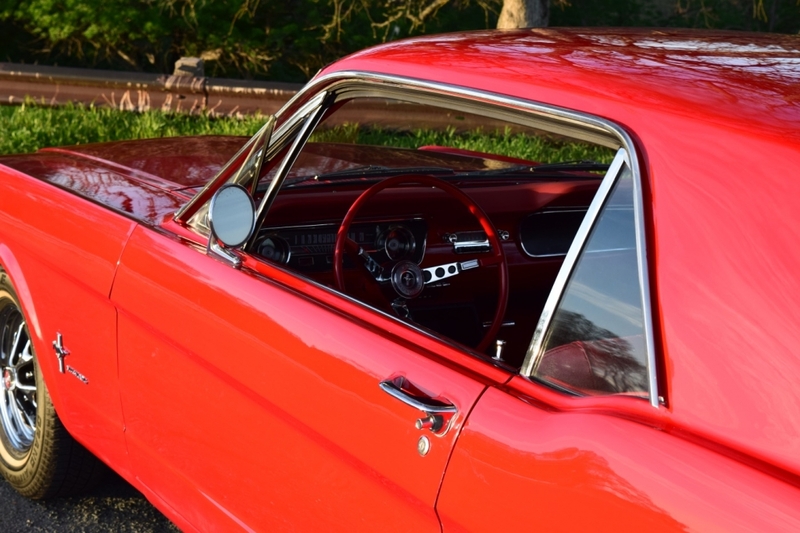 The Exterior Paint on the car has a great shine….the paint is by no means new….we would say it is at least 10 years old with a few minor blemishes but was Professionally wet sanded and polished and it came out beautiful. 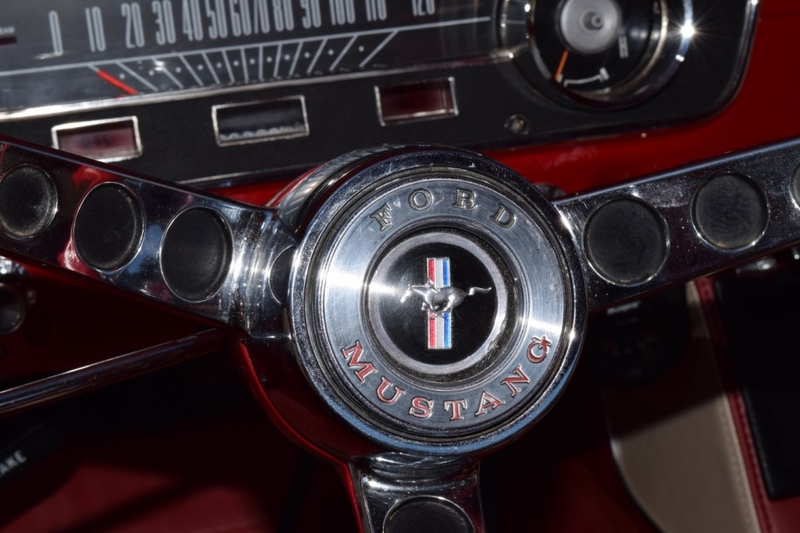 Not a stitch of rust or blistering on any of its Original Body Panels…..This mustang is rock solid and rust free!…Nothing hidden under fresh paint! The Body has a great fit and nice gaps….deadly straight panels…just look at the photos!! !….No evidence of any damage to it and aside from the odd little chip or scuff in great Original shape! 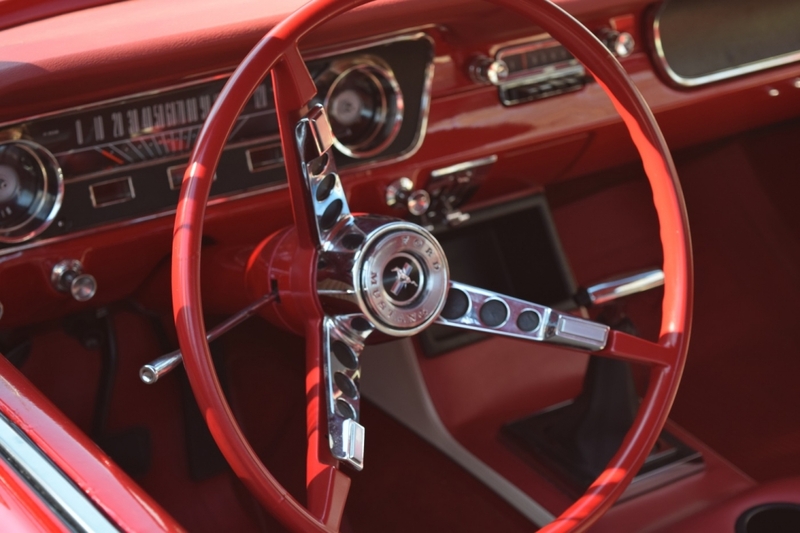 The Exterior Trim, Chrome, Stainless and Emblems are mostly original to the car and extremely presentable given its age. The Glass is all in great shape. 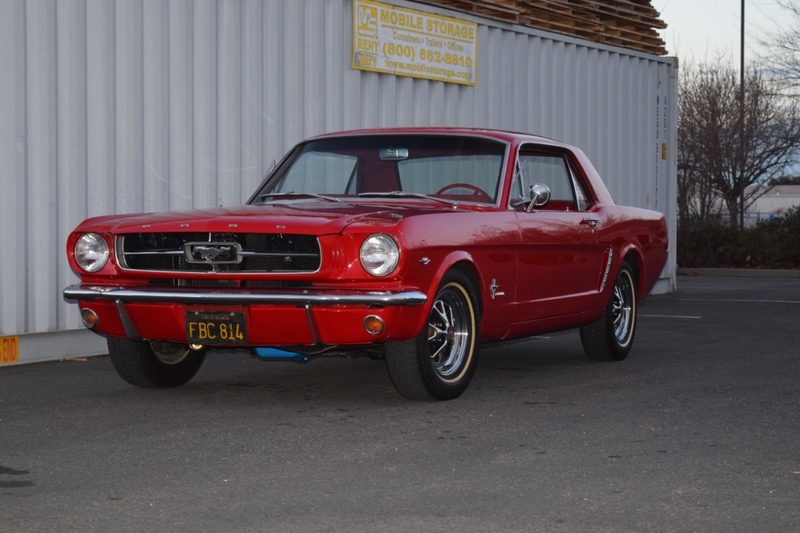 Original Style Mustang Wheels give it that correct Classic Mustang look. 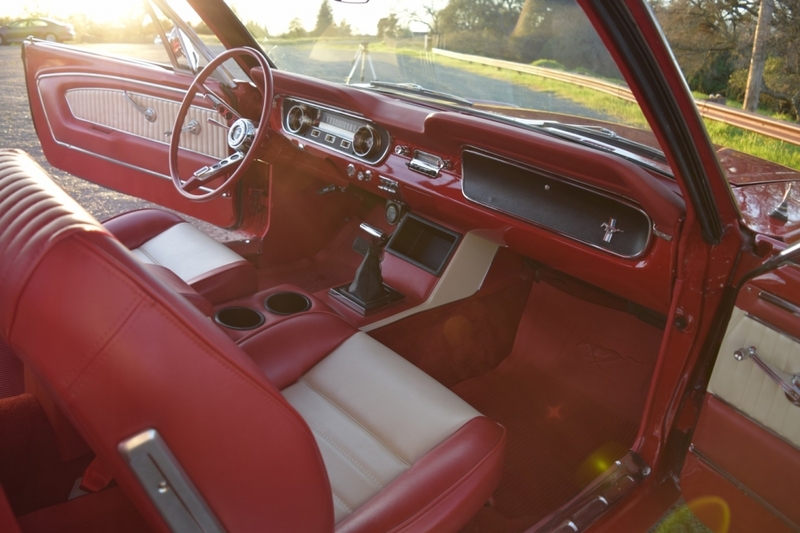 The Original Interior was removed and treated to a brand new Two Tone Red and White 1965 Period Correct “Pony” Interior Package. 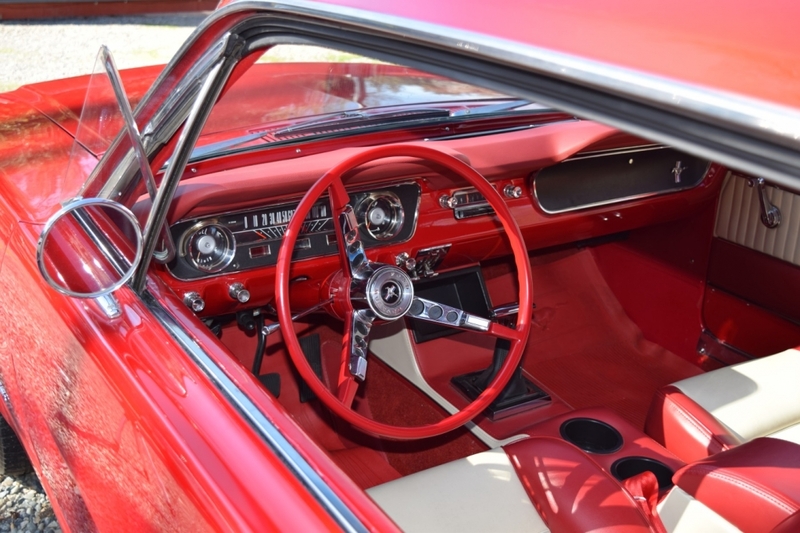 This included new Door Panels, Dash Pad, Seat Covers, Carpet, Headliner, Center Console, Gauge Cluster and Bezels and Dash Face was all restored ….The full package….All brand new! It is just a stunning upholstery Two Tone Color combination to go with the Rangoon Red Exterior Paint! 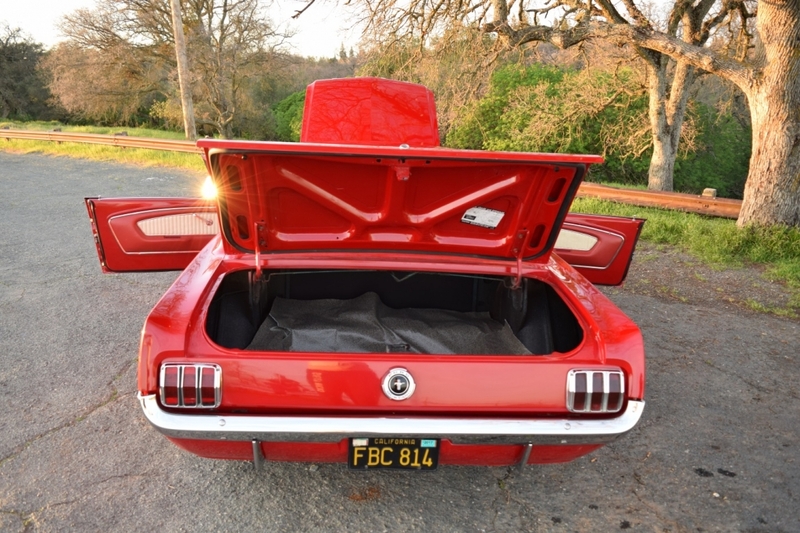 As a side note when the Original Carpet was removed in the interior the floor pans were rock solid as one would expect from an Original California Mustang….a testimony to its dry California lifestyle! 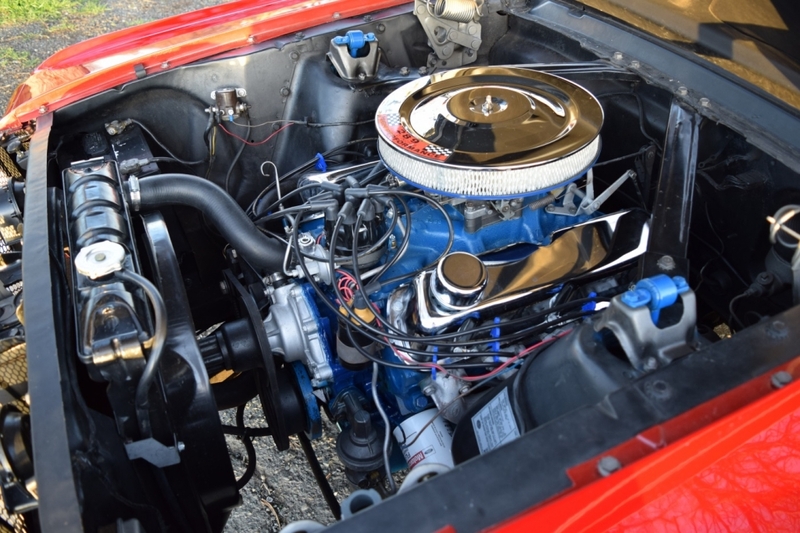 The Engine Compartment is super neat and tidy showing pride of ownership and maintenance. 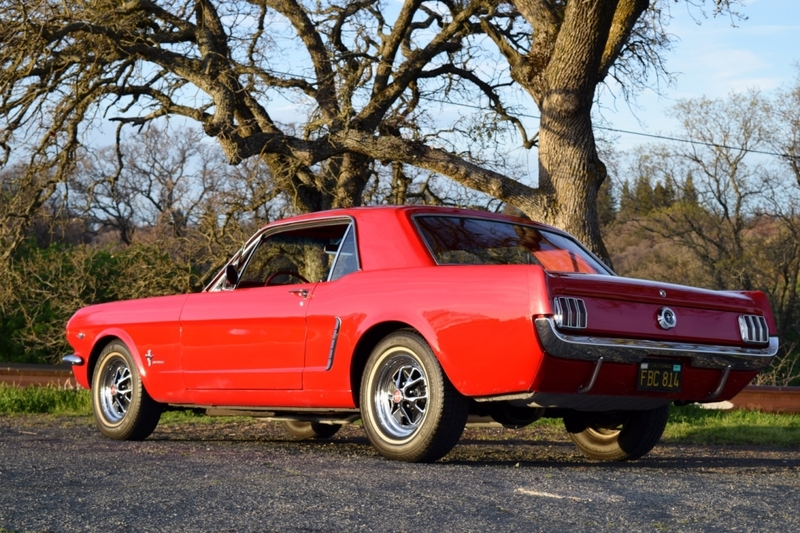 To find surviving low mile, California rust free Mustangs like this example is becoming harder every year. This is not a trailer queen show car. It is a car that can be driven and enjoyed.